Tesla CEO Elon Musk told The New York Times the past year has been the most ‘‘difficult and painful’’ of his career. 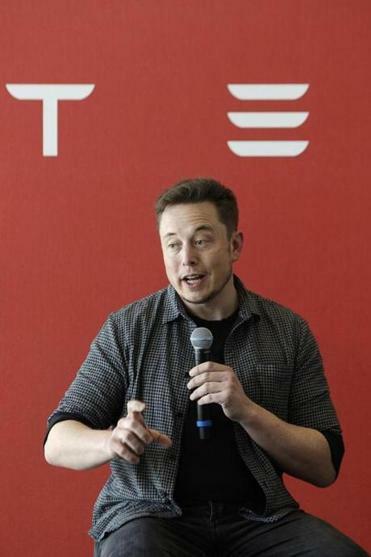 Shares of Electric car maker Tesla Inc. tumbled about 9 percent Friday after CEO Elon Musk conceded in a newspaper interview that job stress may be getting the best of him. Tesla shares closed at $305.50, their lowest level since Aug. 1, as analysts and business professors questioned whether the company’s board should grant Musk a leave or even replace him with a more seasoned CEO. The decline lopped $5.4 billion off Tesla’s market value. Musk admitted to The New York Times that the past year has been the most ‘‘difficult and painful’’ of his career. The newspaper reported that during an hour-long telephone interview on Thursday, Musk alternated between laughter and tears, acknowledging that he was working up to 120 hours a week and sometimes takes Ambien to get to sleep. Musk told the Times that he has no plans to give up his dual role as chairman and CEO. ‘‘If you have anyone who can do a better job, please let me know. They can have the job. Is there someone who can do the job better? They can have the reins right now,’’ he said. Tesla’s board showed no sign of taking any action Friday. In a statement to The Associated Press, the directors praised Musk’s dedication to the company. ‘‘Over the past 15 years, Elon’s leadership of the Tesla team has caused Tesla to grow from a small startup to having hundreds of thousands of cars on the road that customers love, employing tens of thousands of people around the world, and creating significant shareholder value in the process,’’ the statement said, without addressing Musk’s recent behavior. The Times interview puts board members in a difficult position because Musk, who entered Tesla as a major investor and built the company into a force that has changed the perception of electric cars, is the company’s public identity.